Bill Spratt represents large healthcare companies and private equity sponsors in multi-jurisdictional transactions, traversing complex state and federal healthcare laws and regulations. A former healthcare administrator, he counsels institutional and non-institutional healthcare providers including hospitals, ambulatory surgery centers, outpatient and urgent care centers, skilled nursing facilities, hospices, home health agencies, health maintenance organizations, clinical laboratories, radiation therapy centers, durable medical equipment companies, physician networks, and specialty physician groups. Bill has significant experience structuring acquisitions, sales, mergers, and reorganizations of healthcare businesses, and analyzing securities documents in healthcare transactions. He counsels clients on fraud and abuse matters, federal and state regulatory compliance, antitrust issues, managed care arrangements, Medicare and Medicaid reimbursement issues, risk management, and interstate and international healthcare transactions. Bill is Board Certified in Health Law by The Florida Bar. 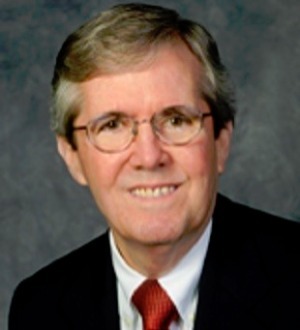 He is former chair of The Florida Bar Health Law Certification Committee and has taught health law as an adjunct faculty member in the Master of Health Administration programs at Florida Atlantic University and Nova Southeastern University Huizenga Graduate School of Business and Entrepreneurship.